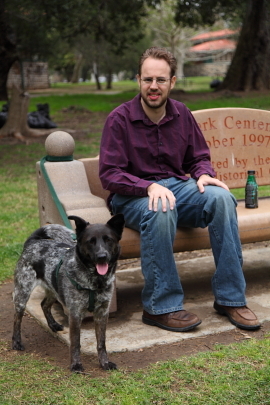 This past Saturday we decided to go out and enjoy the cooler weather at Irvine Regional Park. Bryan’s mom and siblings came down from their place up in the mountains to join us for a picnic. Irvine Regional is a very large park with lots of stuff to do. There are many trails for hiking, mountain biking or horseback riding and there is also a lake where you can rent paddle boats. 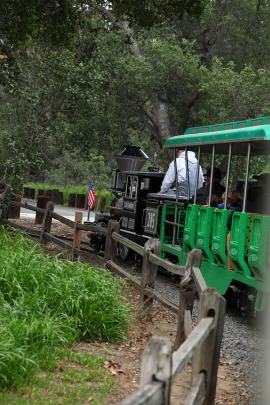 The park also has a nature center, a train and even a small zoo. 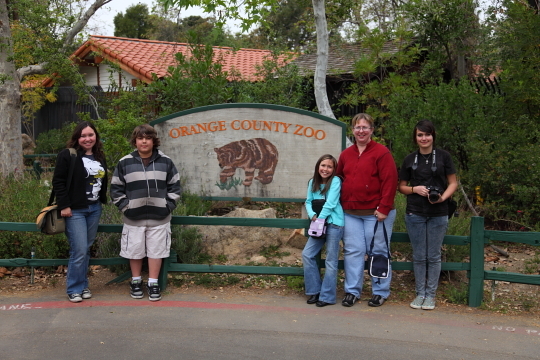 After we ate our lunch near the lake we all went to the zoo. 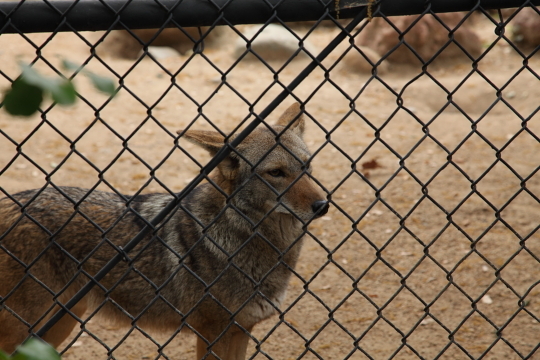 As I said before, the zoo is very small but it’s animals include a couple bears, coyotes and even mountain lions. 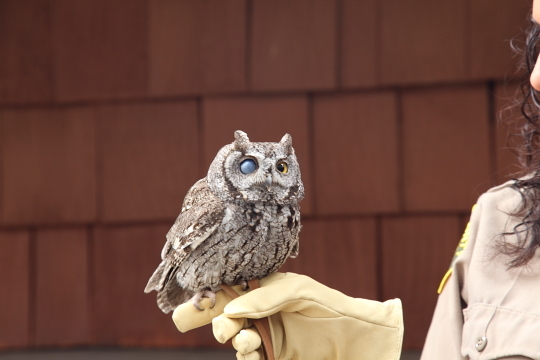 We also saw an owl that was blind in one eye, it was kind of creepy looking but still very cute. After the zoo we headed over to the entrance of the park to ride the train. Luckily they allowed dogs on the train so Bryan’s mom’s dog Mimi got to ride with us. The train goes around a very small area of the park but it is a lot of fun. After our train ride Bryan’s little sister went on a pony ride, that’s right they have pony rides too, and she had a blast. After that we called it a day and headed home but we all had a great time at the park.